One of the more delightful projects on which I'm working at the moment - and which nicely suits my meditative stroke-recovery state - is a reissue of the big 'yellow cover' version of Sister Madge's Book of Nuns. It seems that quite a few adults nurse fond memories of the original hardback book, and secondhand copies have been receiving impressive bids on eBay. llustrator Craig Smith has done some lovely extra artwork and I have written two additional verse stories, one of which describes how The Convent of Our Lady of Immense Proportions came to be. 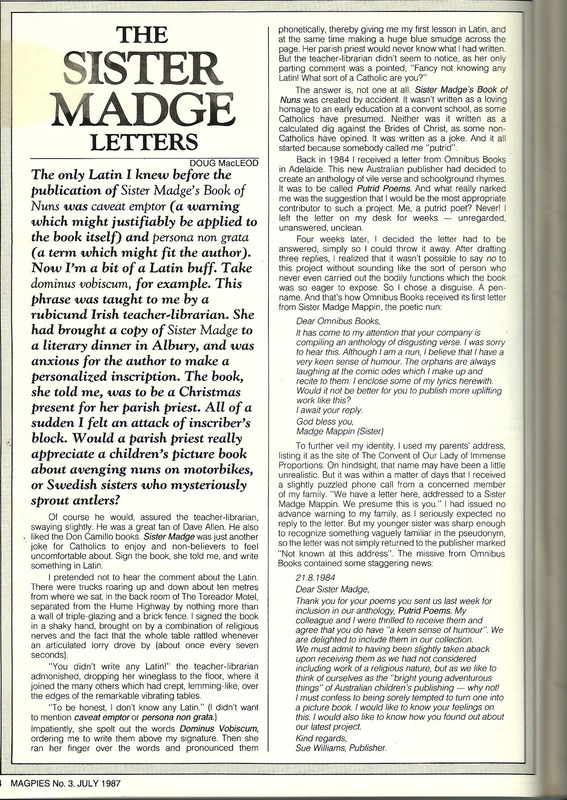 Here is an old article from Magpies magazine, which was unearthed by Lauris Pandolfini at the Booked Out Speakers' Agency. Thanks, Lauris. 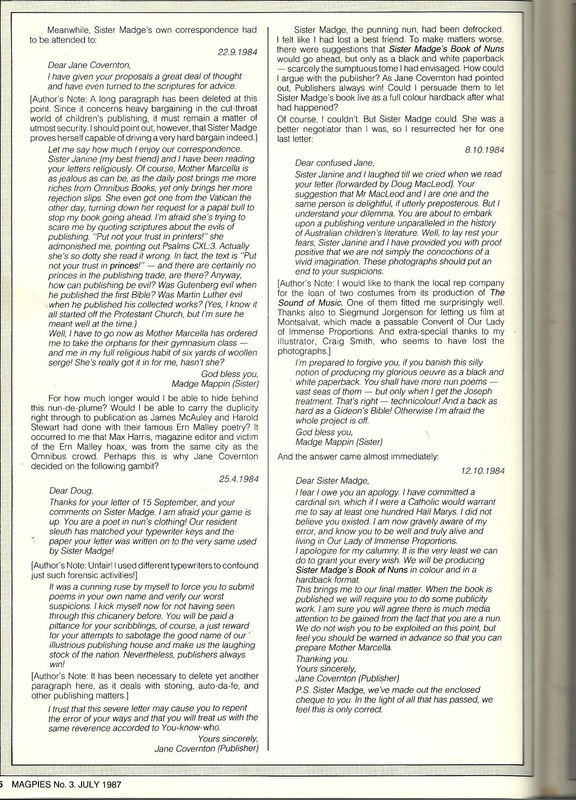 The article gives a synopsis of the correspondence that publisher Jane Covernton and I enjoyed during the creation of the first book. I've been watching some of the old Doctor Who DVD's recently, and I notice that a few of the early stories have been reissued with new digital special effects. The Day of the Daleks is a wonderful story that I remember seeing when it was first aired on the ABC. The story's climax features a battle between humans and an 'army' of daleks in the grounds of an English mansion. I recall clearly that there were only three dalek props constructed for the story, so the 'army' consisted of the same three daleks being shot from several different angles, to give the impression that there was a mighty dalek army. I don't think that any kids would have been fooled by the ruse, but I really don't think it mattered - young viewers were prepared to suspend disbelief. As far as we were concerned, there really was a whacking great dalek army - even through we saw only glimpses of very small parts of it. It helped that the story was clever. In order to prevent a third world war, guerillas from the future go back in gtime and try to destroy the man, Sir Reginald Styles, who purportedly sabotaged a vital global peace meeting by murdering the delegates in an explosion, thus bringing WW3 upon the planet. But in trying to eiliminate Styles, the guerillas from the future (an altrenative 22nd Century) unintentionally cause the explosion themselves - in other words, they are going back in time to prevent an event that they made happen. 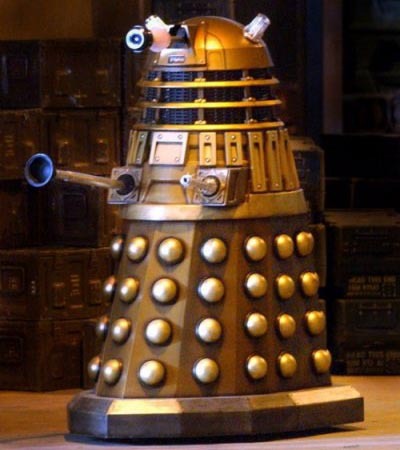 This idea is so hard to get your head around (and like all time-paradox stories, it does have holes) that you really don't worry about the fact that the mighty dalek army seems rather under-sresourced. But it obviously bothered some people, because a lot of money was later spent on adding extra daleks and dubbing on new dalek voices, because apparently the original ones were rubbish. (I certainly never notived that). I suppose if a dalek is screaming 'Exterminate!' and happily blasting away, the tone of voice it uses is probably the last thing you worry about- unless, of course that voice is very wrong. If Gretel Killeen had voiced the daleks in her best Telstra recorded message voice, even kids would probably twig that something was amiss. The new improved version of Doctor Who and the Day of the Daleks (More daleks! New voices!) is great stuff, but we probably could have done without it. And did we really need George Lucas to add some extra stuff to A New Hope, the first Star Wars movie he made? The South Park guys obviously didn't think so,and devoted a whole episode of their terrific show to pointing out why it was a bad idea. Words of beauty, words of thought. Told in words that aren’t refined. 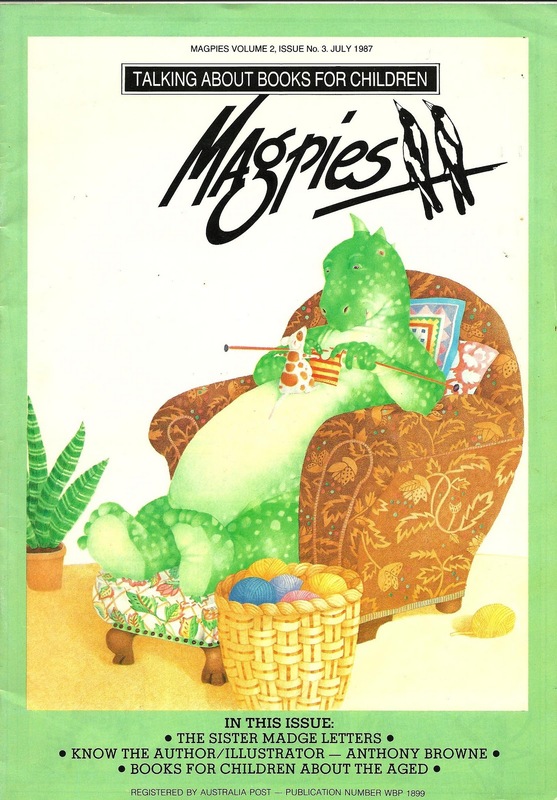 The sole reason I wanted to include this, which should be pretty self-evident, is that I'm a little uncomfortable about referring to the Sister Madge rhymes as 'poetry'. 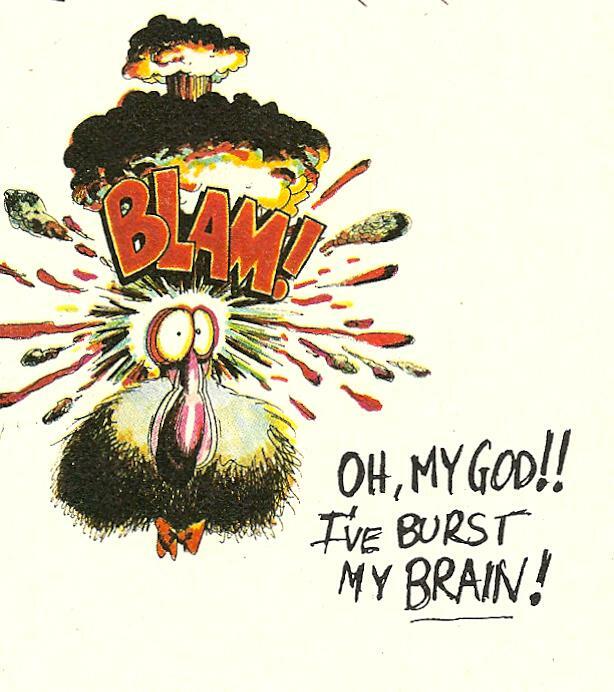 They are verse, maybe even doggerel, (Terry Jones, from the Monty Python team is quite happy to refer to his rhymes as doggerel, even though the word has unpleasant connotations.) If it's good enough for Terry Jones, it's good enough for me. 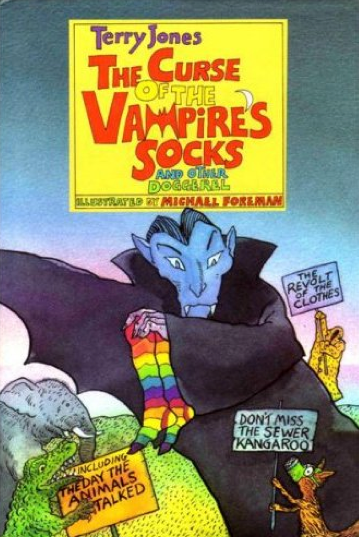 The Curse of the Vampire's Socks and Other Doggerel by Terry Jones. Hello there. I haven't posted for a while because recovering from stroke slows down your entire life. Even though I do rehab exercises every day, my rehab team keeps reminding me that it will most likely take six months for me to recover fully. (Even typing this post is amazingly difficult.) Kind people who have come to visit seem surprised that I don't look like Lon Chaney Senior playing Quasimodo. Shouldn't stroke victims be all dribbly, with one side of their face drooping? This is pretty much society's preconception. My face looks symmetrical at the moment, but then I've been exercising it every day, trying to rediscover how to lift my soft palate. There are perfectly good muscles on the left side of my face but my brain has merely forgotten they are there. There's a trick where we remind the brain of these muscles by placing an icepack on them. Suddenly the brain senses something. 'Oh, that's right, there are muscles there, so I might as well use them.' I can now walk without tripping over, because I've been practising balancing. Standing on one leg and closing your eyes might not seem that difficult, but I still can't do it. Balance exercises take up an hour of each day. I suppose I do appear quite chipper for a stroke victim. I can even run - though I've found only one place where it's safe enough to do this. There's a park alongside the commission flats in Prahran. It's a concave shape and the grass is quite long and tufty- giving me a soft landing surface should I trip. The treat of the week is to go to this park and run its diameter two or three times. It feels so good to run and leave the stroke-stricken version of me behind. 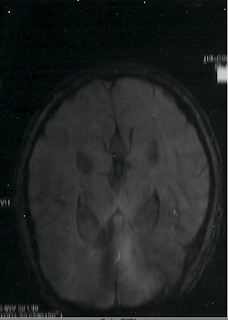 I had the stroke on 7 September (I’m a little hazy on dates, my short-term memory is still bad) which means I'm in the middle of that vital three month recovery period, where everything I do now will have the strongest impact upon how completely I recover from this thing, so I’m working hard on my rehab. Try standing on one leg and squatting. Not so easy, is it? Now try it eight times in a row, three times a day. So I'm looking relatively 'normal', but it's what's going on inside that worries me. 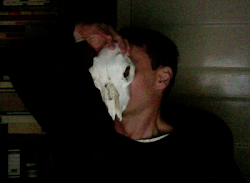 I don't seem to have recovered the mental faculties that enable me to write TV scripts and books. Even my Final Draft software is hard to negotiate. 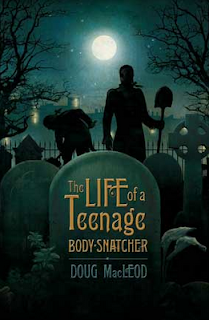 I very much want to write a sequel to my book, The Life of a Teenage Body-snatcher, but I'll have to read it again because I forget the characters and story. The book was quite good but a bit boring at times. Some of the humore wasnt very funny -_- , But it was a goodish book but LOTS of room for improvement . It's rare of me to self-google. It was an ill-advised attempt to get a bead on the first book, to try to find out what people liked about it (I really should know this already, but the memory has gone). Megan explained to me that these emails all arrived at the same time and had an edu. suffix, so it's pretty likely that some poor teacher had been given the task of 'teaching' the book, but rather than read the teacher's notes or look too deeply into the novel in order to answer questions from the students, they have taken advantage of Megan's better nature and directed the students to send their comments to Megan, since she is known for dilligently replying to all comments she receives, and she's astute. This normally wouldn't and shouldn’t bother me. But it did, and I'm very happy to say that Megan as moderator declined to publish my response to the slew of critiques from young readers. I even think I had a go at Samantha, suggesting that just because she's too dumb to get the jokes, doesn't mean that other readers are. But Virginia was the one who really got to me with her 'LOTS of room for improvement'. Each one of those uppercase letters stings. 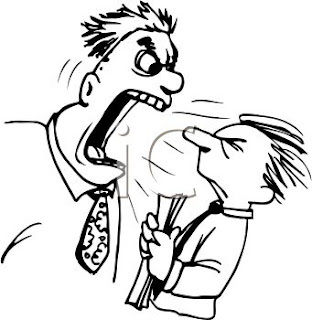 I feel like I've been reprimanded by Mr Atkins (a much disliked schoolteacher character from the book). In 2010 I wrote a novel called The Shiny Guys. I had to copy-edit it last week, alongside my editor, Dmetri, and I found that I no longer loved the book. It's very dark, with hardly any jokes, so at least Samantha should be relieved. I'm sure my sudden ambivalence toward the book is a result of the stroke. (UPDATE 29 October: I now like the book. Wait till you see the cover!) So the very last thing I should be doing is paying heed to the pulings of readers who didn't exactly 'ship' my last work. Here is something funny. I daresay that even Samantha might be able to understand it. 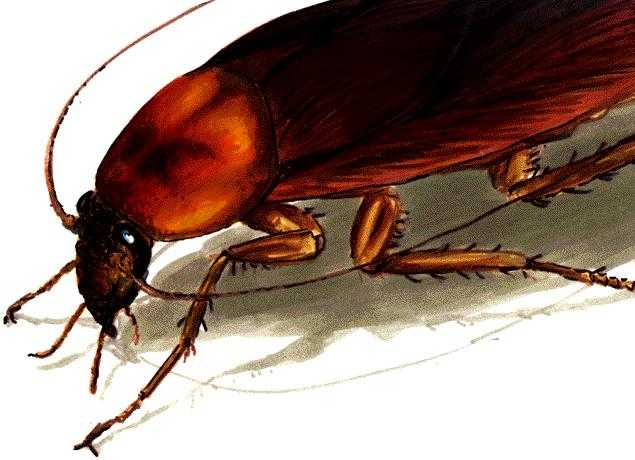 In The Shiny Guys, the villains resemble cockroaches. 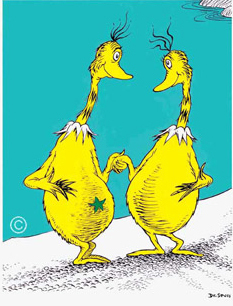 (They are the sole survivors of a nuclear war.) 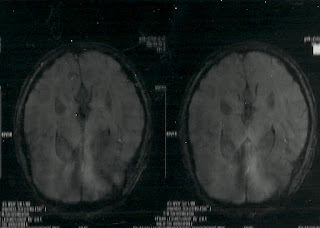 Now, look very closely at this MRI below. It's my brain just after the stroke. 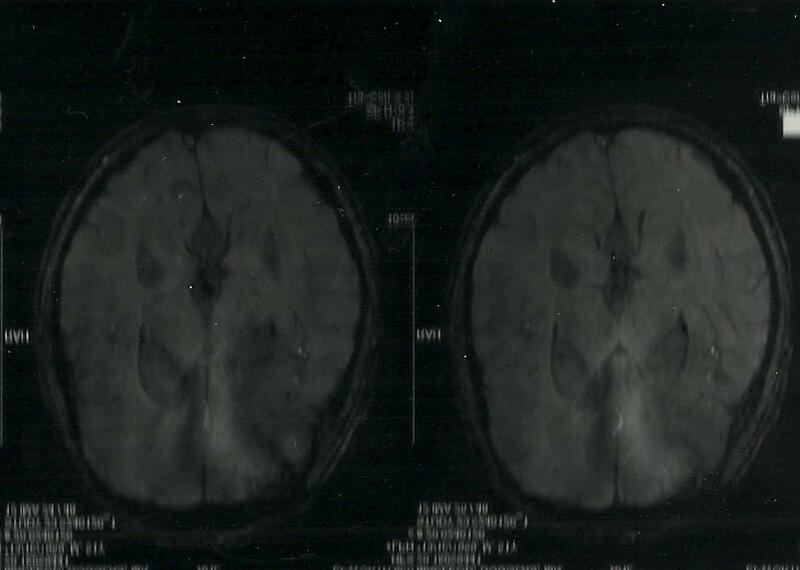 You'll note there appears to be an evil grinning'Jack o'lantern face in those dark areas of my brain. But there is something else. Have a good look now at the space between the Jack o'Lantern eyes. Remind you of anything? It's a cockroach. I obviously had cockroaches in my brain when I wrote The Shiny Guys. SO, here's the educational part. Are you sitting comfortably? A stroke occurs when blood flow to the brain is interrupted, the first case being that the wall of a blood vessel bursts, allowing blood to leak to the brain. This stops the delivery of oxygen into the brain, causing cells to die. About fifteen percent of all strokes are haemorrhagic strokes, where blood leaks into the the brain. An aschaemic stroke (which is what I have just experienced) is more common. In this case, a clot blocks a blood vessel that is too narrow for it to pass through, and the brain is again starved of oxygen. 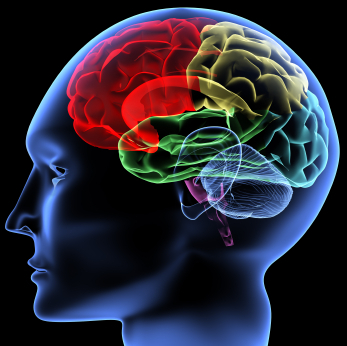 The brain cells in the immediate area that die are known as an infarct. (A gift to comedy. And there are no shortage of stroke jokes - which is fine by me. Mel Brookes once said he was working on a sequel To a famous sitcom where the principal character suffersS a stroke. According toO Brookes, the show was to be called Half of Father Knows Best. I laughed when I heard that, just as I laughed at the start of the movie The Player, where seomone - I think it was Buck Henry - pitches to studio execs a sequel to The Graduate, where Mrs Robinson has just sufferred a stroke. And JAck BLack was pretty funny in High Fidelity when he expressed his concern to a customer who wanted to buy I Just Called to Say I Love You for his teenage daughter: 'Oh my god, did she have a stroke? Is she in a coma?' Bring on the stroke jokes, I say. Take the mozz off it. People considered high risk for stroke are those with high blood pressure (that would be me) diabetics (that wouldn't) the obese and unfit (pass) smokers (gave up years ago) those under stress (I don't consider myself stressed. I figure I'm fairly laid back but no one else does). Denis recovered from his stroke, and I am currently recovering from mine. I have regular physiotherapy, the main aim of which is to restore my sense of balance, and also speech therapy. The muscles down the left side of my face don't work (or rather, they do but my brain has forgotten that), my lip droops and my soft palate won't lift. This means that a lot of things I say come out of my nose. I'd make a great ventriloquist, but my dolly would sound like Julia Gillard. The incredible Doug MacLeod and Julia. One of the side-effects is that my long-term memory is now very good, but I have difficulty remembering what day of the week it is. When doctors and nurses asked me for my home address, I kept telling them that I lived in Eltham - which I did, twenty years ago. For some reason I also know quite a bit of German, a language I studied briefly and wihout much success, when I was a teen. (According to my mother, a nurse, there is scientific evidence of this happening before. So, apparently strokes can bring out the German in you. Who knew? I m now ensconced in St Kilda - not Eltham- where I am trying to trick my brain into rewiring itself, so I can continue to write and make a living. I still sound a bit weird when I speak, as though I have just downed a litre of brandy. This morning I unintentionally scared away a beggar in Coles Carpark in Acland Street. He approached me and remarked that it was a beautiful morning. Eager to show off my newly regained vocal ability, I agreed with him, and added a few trenchant observations about the cloudscape. I might even have told him that I have it on good authority that the rain in Spain falls mainly on the plain. He ran. Despite scaring the occasional vagant, I think I'm coming through it okay, though this blog is taking me forever to type and I'm aware that it's full of typos and spectacularly dull. 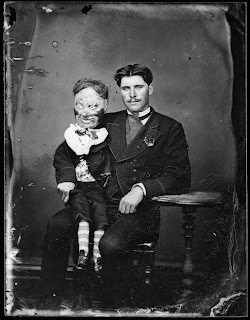 I'll keep you posted on any progress, and whether the ventriloquism career takes off. What I really want to do is write a sequel to The Life of a Teenage Body-snatcher, since that's the first book I've ever written where I actually made back the advance that Penguin paid me. Here is someone who can put this all much better than I can, and indeed has made a fortune out of her stroke. Good on Dr Jill Bolte Taylor. You get lemons, so you make lemonade.